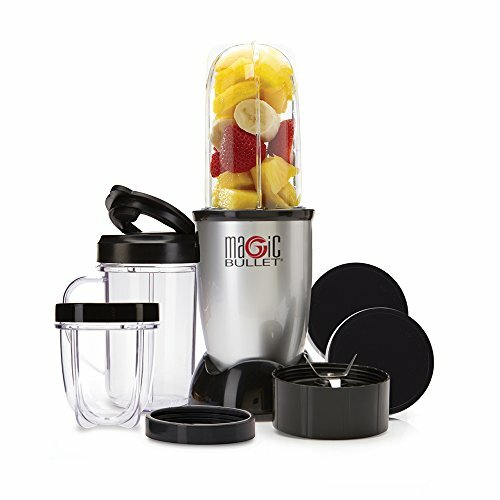 The Magic Bullet Blender is a personal versatile countertop magician that works like magic. Easy Chop, mix, blend. Cups & lids top shelf dishwasher safe. There are 3 cups: 1. Tall cup – 18oz 2. Party Mug – 18oz 3. 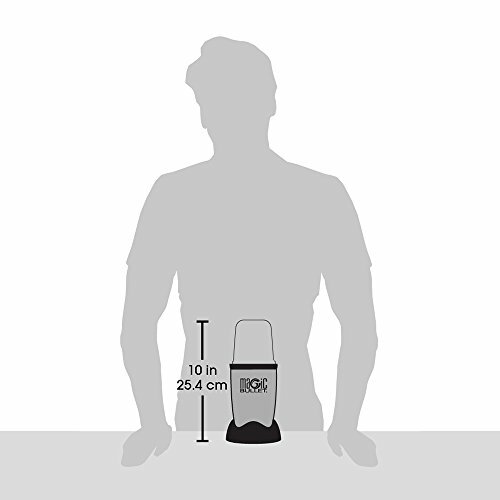 Short Cup – 12ozThe Magic Bullet chops, mixes, blends, whips, grinds and more. 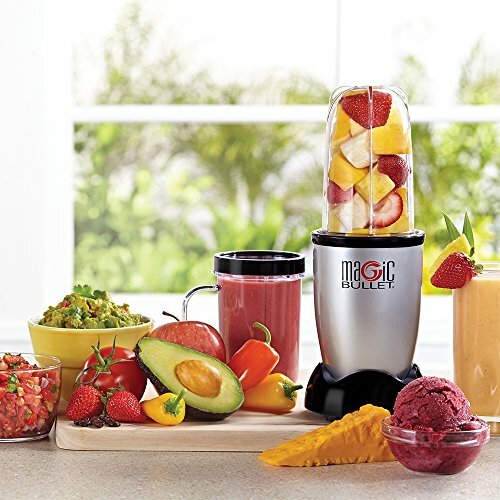 Magic Bullet Blender effortlessly create your favorite meals and snacks like smoothies, omelets, sauces, and dips. Recipe Book gets you started making quick, easy, and delicious dishes from appetizers to desserts. 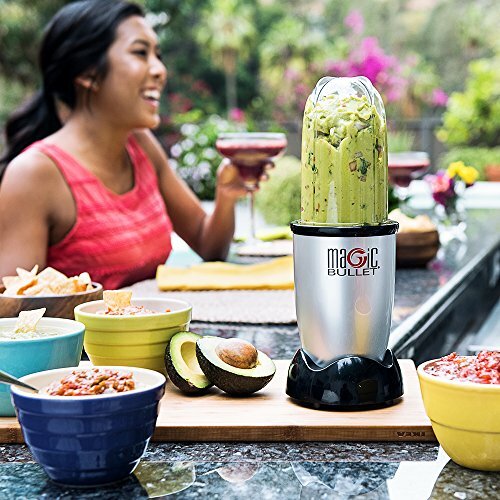 Magic Bullet Blender is great for making hummus, guacamole and smoothies. It comes with cups which makes it easy to make a smoothie at night and put it in the fridge to grab and go in the morning. It is easier to make smoothies than pulling out the blender, a lot easier to clean as well. it can blend a few ice cubes with, a banana, some Peanut Butter, and milk, pretty quickly. Great for making baby food with organic vegetable and fruits. Healthy, clean eating couldn’t get any better! The space saving size is great because it doesn’t take much counter space. It looks great on the countertop. Easy to Use: Just load your ingredients into the cup, twist on the blade, line up the tabs and place on the power base! In a Rush? No problem! Take your treats on the go with the convenient Flip Top To-Go Lid. Does It All: The Magic Bullet chops, mixes, blends, whips, grinds and more all at an affordable price! Hassle-free Cleanup: Simply rinse with soap & water! 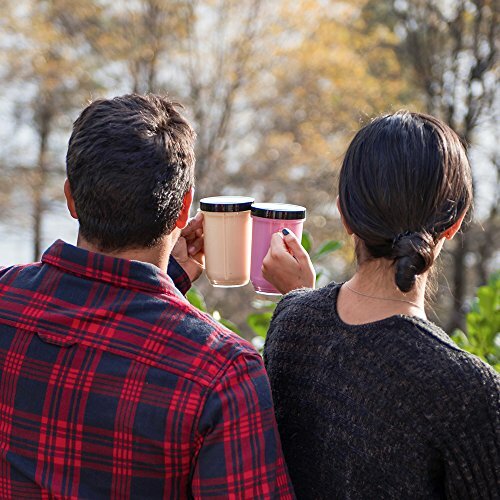 The cups are top rack dishwasher safe. 10 Second Recipes! 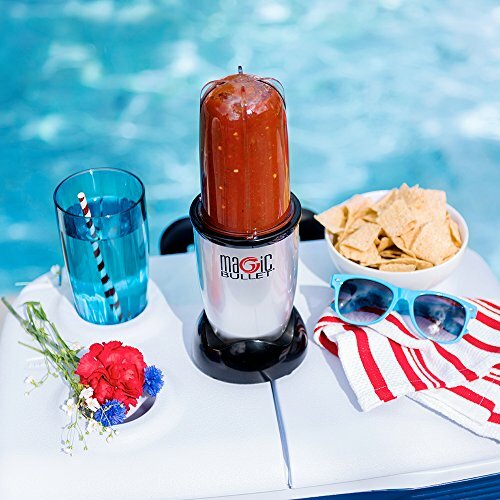 With the Magic Bullet, the possibilities for your kitchen creations are endless! This helpful guide gets you started making quick, easy, and delicious dishes – from appetizers to desserts.